Reegan's new bath time game! 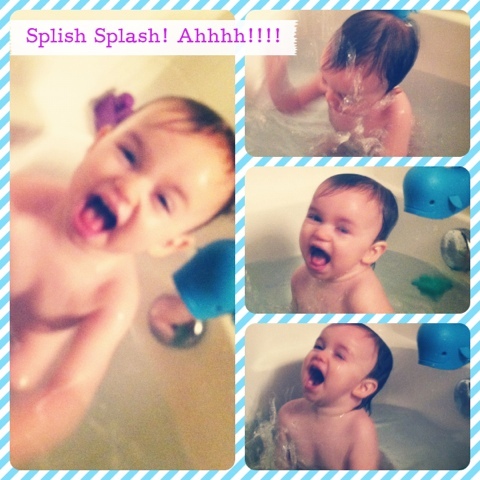 SPLASHING like crazy and screaming her head off! Haha! We love it though. She is such an energetic, animated character! We have so much fun laughing and playing with her!! !